Here is deal worth passing on to everyone you know. Do you miss listening to satellite radio in your Subaru? Sirius XM Radio is offering 2 weeks of free listening to all owners of properly equipped 2013-2014 Subaru BRZ and all Subaru vehicles through 9/9/13. And it’s not just limited to Subaru vehicles. You can tune in whenever you hop into your properly equipped car. We found out from Subaru that this offer started Tuesday August 27 and will be available through September 9, 2013. Properly equipped cars can take advantage of the free offer and enjoy the best in music, sports, news and talk on your satellite radio. You can get free access to 60 channels during the offer period. All you have to do is turn your radio on and enjoy. It's really that easy. Of course Sirius XM wants to get you hooked with the free offer with hopes listeners will then subscribe to the service after the two weeks is up. But it’s a great free offer that you don’t want to pass up. Free is good and this offer should be shared with everyone you know. Subaru isn’t the only automaker with Sirius XM Radio capabilities, but they offer a full lineup of exiting cars. The newest addition is the BRX sport coupe. Sales of the popular BRZ have been through the roof and Subaru has been increasing production to keep up with the strong demand. The 2014 Subaru BRZ is available in Premium or Limited trim levels and include all performance features like a sport-tuned suspension with front strut brace and TORSEN limited-slip differential. 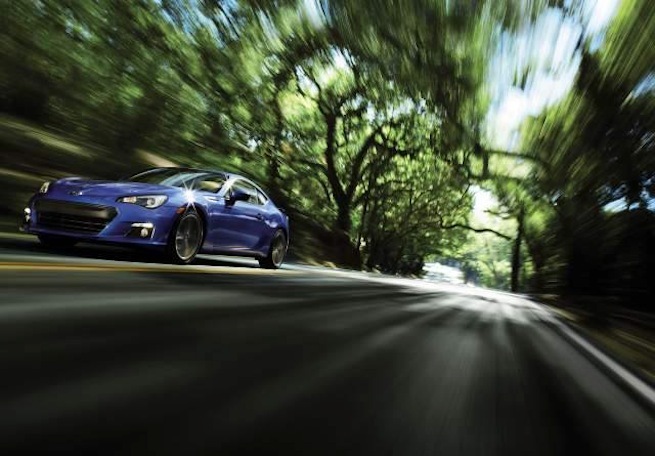 BRZ features the 200 hp Boxer engine coupled to the six-speed standard gearbox. It’s a practical daily driver and a powerful performer offering 2+2 seating and a folding rear seat. So if you have a 2013 Subaru BRZ or any properly equipped vehicle, don’t miss getting free Sirius XM Radio for the next two weeks. Here is a deal worth passing on to everyone you know. Find out more here.